For passive income 3, there is an increase as I have bought two more lots of Singtel shares. 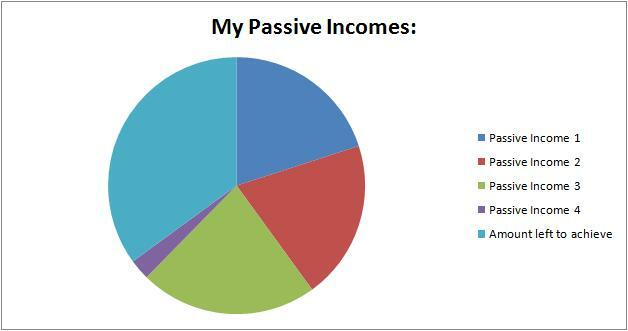 For passive income 4, there is an increase of $28. However since it is still in the building stage, I will be expecting it to go up and down. In my post "Forget about achieving Financial Freedom if you do not have perseverance or refuse to learn. ", I have mentioned that it will take time and effort to build up passive income. Congrats to your achievement! Any tips to share in your journey to achieve FI or passive income? I've read through your entries and it is still confusing as i'm a real beginner here. From my knowledge, you seems to be quite active in investment? Please take note that I am an investor and not a trader. I buy stocks that are of strong fundamentals and giving out good dividends.